"Friendly & Flexible - To Make Your Event Special!" Welcome to DJ Bobby's Wedding DJ, Disco and Karaoke. I am here to help make your party or celebration a success! I cover all sizes of venue - whether that be in a top hotel, your own home, work location, local hall, the pub on the corner or even in the Officers' or Sgt's Messes.Playing a wide range of music from the 60s to todays current hits, I have it all and more besides. I can fulfill your requirements with the minimum of fuss to you and the best results for you and your guests.I have been providing a disco service for around 10 years now, and I would like to offer you my enthusiasm, growing experience, together with a great reputation and the satisfaction of a job well done so that your special event goes the way it should - perfectly! To find out if I am available for your event please contact me. 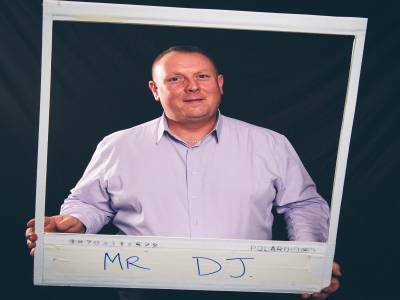 Required by many venues, DJ Bobby Mobile Disco & Wedding DJ has a current PLI policy with National Association of Disc Jockeys in the amount of £10 million. Also required by many venues, DJ Bobby Mobile Disco & Wedding DJ has supplied satisfactory evidence of holding current PAT inspections of their equipment dated within the last 12 months. A Method Statement outlining DJ Bobby Mobile Disco & Wedding DJ&apos;s Health & Safety procedure for setting up disco equipment has been provided. 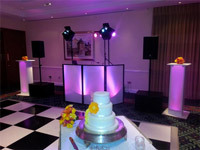 DJ Bobby Mobile Disco & Wedding DJ has provided Risk Assessments undertaken at events sourced via needadisco.com, indicating that they can undertake these competently. Why do people choose to book DJ Bobby Mobile Disco & Wedding DJ? "It was a pleasure to be part of your family gathering, I'm glad you all had a great time. Thank you." "Would def use him again"
"Many thanks for your positive comment, Im glad everyone had a fantastic night. Thank you." "A fantastic evening that was enjoyed by everyone young and old. I would definitely recommend DJ Bobby to my friends." "Thank you so much, glad you all enjoyed it." DJ Bobby Mobile Disco & Wedding DJ also offers a range of additional party services not directly linked to musical entertainment. Please note that needadisco.com has no editorial control over these images which are stored on flickr.com. If you have any concerns about what you see below, for example potential copyright infringement or unsuitable content, you should take this up with DJ Bobby Mobile Disco & Wedding DJ directly using the Contact section below, or else you may alert flickr.com directly quoting "set number 72157633906638975". If you are contacting DJ Bobby Mobile Disco & Wedding DJ about an event, it's always a good idea to include the DATE, LOCATION, EVENT TYPE, AGE GROUP and TIMINGS to speed things up!